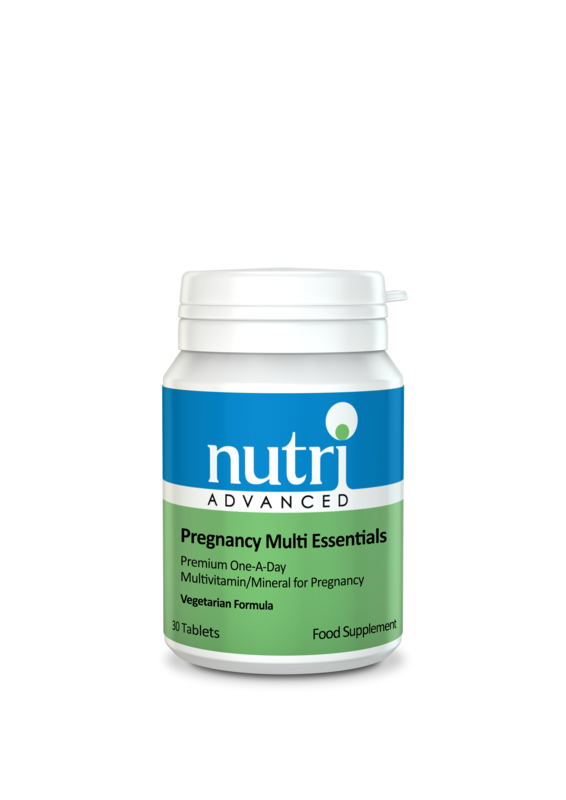 Nutri Pregnancy Multi Essentials health supplement - support during pregnancy, pre-conception and breast feeding. It provides higher levels of important minerals, such as magnesium, calcium, zinc, iodine, selenium and iron for additional nutritional support. Multi Essentials for Pregnancy is a premium multivitamin and mineral formula for support during pregnancy, pre-conception and breast feeding. It provides higher levels of important minerals, such as magnesium, calcium, zinc, iodine, selenium and iron for additional nutritional support. Provides higher levels of calcium and magnesium in a 2:1 ratio for healthy bone development. Features iodine at recommended levels for pregnancy and breastfeeding. a critical role in foetal development. Provides 18mg of easily absorbed iron to support mother and baby. Many women become anaemic during pregnancy and breast feeding because of the extra demands placed on the body’s resources.